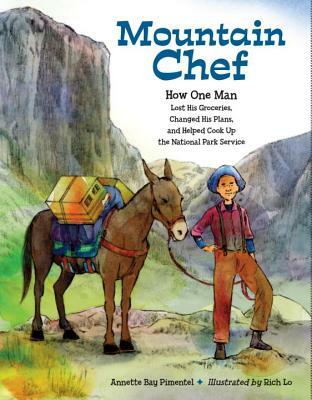 The true story of a Chinese American mountain man who fed thirty people for ten days in the wilderness--and helped inspire the creation of the National Park Service. On the last night, he fed not just the campers' bodies, but also their minds, reminding them to remember and protect the mountains. Annette Bay Pimentel’s articles for children have appeared in Appleseeds and Highlights for Children. Rich Lo is the author and illustrator of Father’s Chinese Opera (Sky Pony Press), an honor title for the Asian/Pacific American Award for Literature in the Picture Book Category.